You could easily answer "Yes" to the question "Are you a positive person?". Look at the words you use, because they shape your reality. Observe whether you tend to talk about the things you don't like, you describe potential problems about anything, or talk often about a negative past situation. Think about the little daily things. When an appliance breaks down or you cannot find a place to park, do you just deal with it and go on or do you become frustrated about it? Do you let small stuff take over you and ruin your day? When something has gone wrong (and it may have gone terribly wrong), do you keep on replaying it in your head and feeling guilty or upset about it? Do you instead choose to learn from it for the future and find the good in it? Do you feel a victim? Do you practice victim thinking? Do you think that you are always suffering circumstances? Do you prefer to think that you can create your own future through the way you think about it and act in the present? Looking at all this, the answer to the question "Are you a positive person?" becomes clearer. Are you a positive person? Become one! Developing a positive attitude is a matter of being consistent, using your willpower and consciously making little choices daily that create positive long-term results. The more you take little positive actions here and there every day, the easier it becomes. Without even noticing, over time you create a tendency to focus on what works. 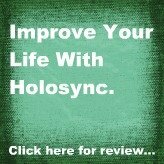 Discover the basics of living life the positive way. Find out how you can create and maintain resilient positive thinking. 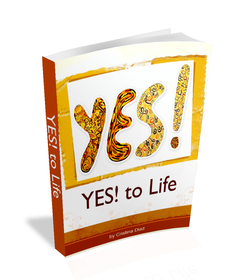 Find tips and advice to start seeing the positive side of life with the help of Yes To Life. "Within you is the divine capacity to manifest and attract all that you need or desire."